Looking for an ALL BRICK ranch in an all brick neighborhood? Your search is finally over! 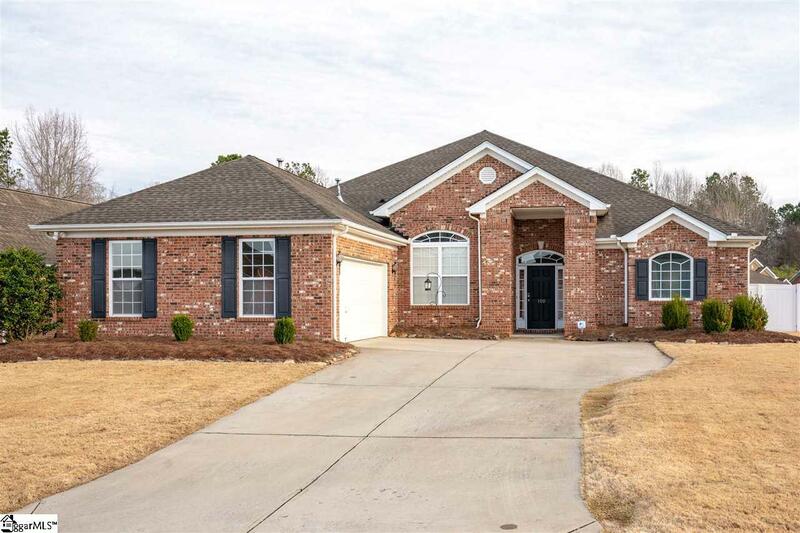 This stunning home is located in beautiful Brentmoor, an all-brick neighborhood with access to Remington neighborhood amenities including clubhouse, playground, exercise facility and junior-olympic swimming pool. Sitting on a prime corner lot and backing up to woods and stream, this home has been extremely well maintained and boasts high ceilings, spacious open-concept living, and a beautiful fenced-in backyard. The master suite opens directly onto the screened-in back porch, and is separated from the other bedrooms by the living space. The large bonus room upstairs could easily be converted into a forth bedroom, but could also be a great office and/or media room. Recent upgrades include new, long-lasting 6ft vinyl privacy fence, extended patio, and floodlights in all corners of the home. The attic was also recently air sealed, and the insulation brought up to an R44 rating. Take a stroll down to Rocky Creek and enjoy the serenity of this lovely neighborhood, or take a quick drive into award-winning downtown Greenville. The location truly is the best of both worlds. The fact is that you just don't find newer, all brick, ranch-style homes very often in our market, so make sure you get in to see this beauty before it&apos;s gone!